Wanted to pass on this interesting tidbit from a post today by 40 Days for Life. “at least eleven babies have been spared from abortion during this 40 Days for Life campaign. ‘I praise God for our prayer warriors and gifted sidewalk counselors,’ she said. Fantastic news on the lives saved! 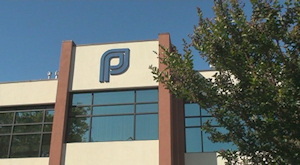 It looks like more people are realizing that helping out the largest abortion chain in America isn’t the way to go.